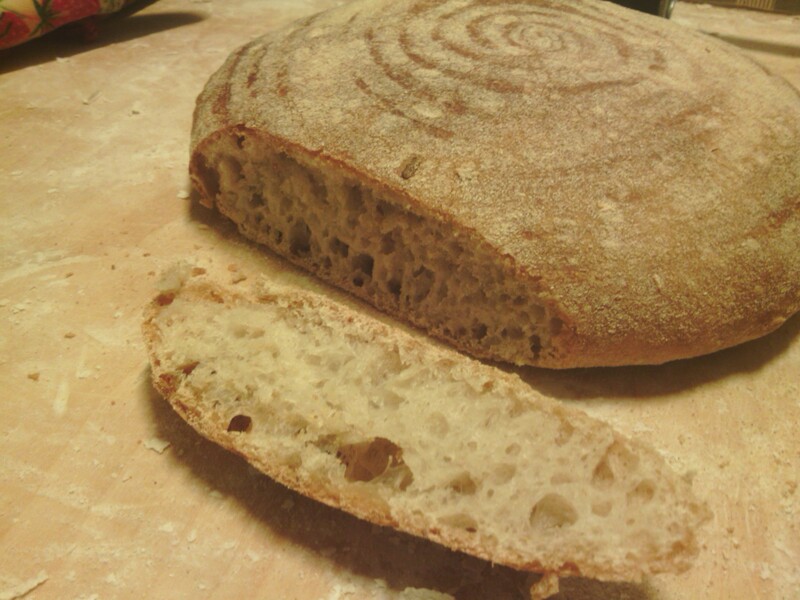 Beautiful homemade sourdough loaf. It was baked in a clay pot to emulate the effect of a stone oven. The flour should be a protein-rich bread flour, such as Manitoba Cream, Durum or Spelt. 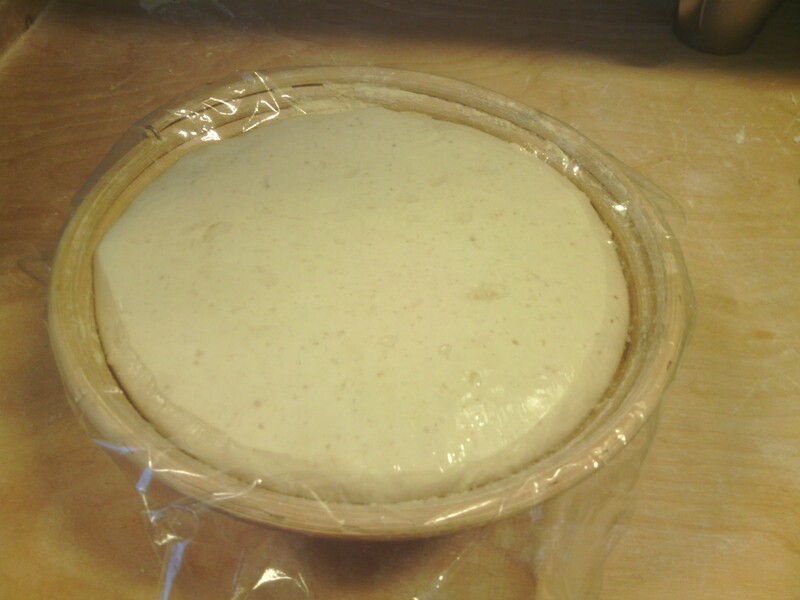 Ensure you give your mother culture (leaven) enough time to develop. It should be full of little bubbles. Process the dough by machine or by hand. 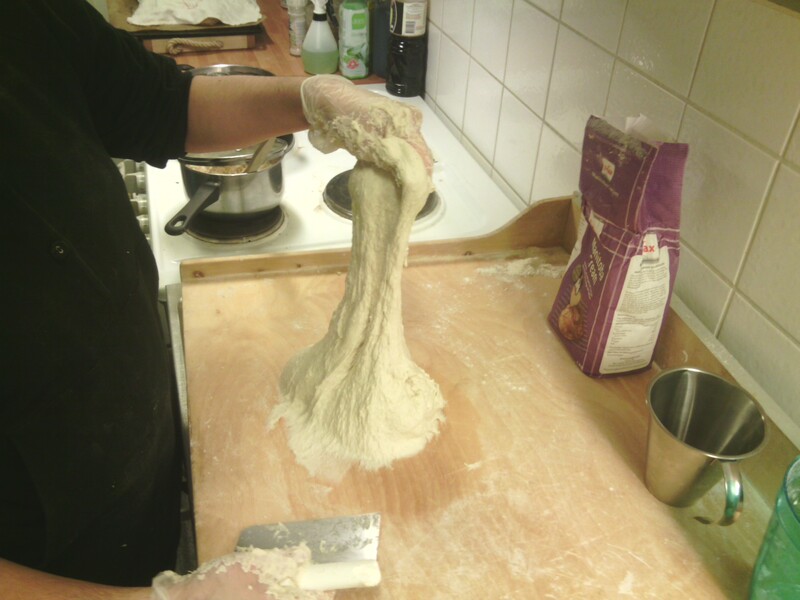 Once the gluten in the dough is fully developed, the dough becomes glossy and very stretchy. It will also become less likely to stick. If you choose to do this by hand, you will need to use the “slap and fold” kneading technique. Place in the refrigerator overnight (or for 12 hours). This allows the flavours to develop. Take the bread out of the refrigerator and allow it to warm to room temperature. Shape the bread gently. Allow the shaped bread to proof in a bread basket that has been lightly dusted with flour (I usually use rice or corn flour). Place in a hot oven and bake for around 25-30 minutes. Some like to adjust the temperature as the bread bakes. Personally, I prefer to use a large clay pot because it keeps moisture in and gets the crust just right. To the mother culture was added 600g Manitoba Cream bread flour, 400g water and a pinch of salt (this resulted in a 67-70% hydration dough).